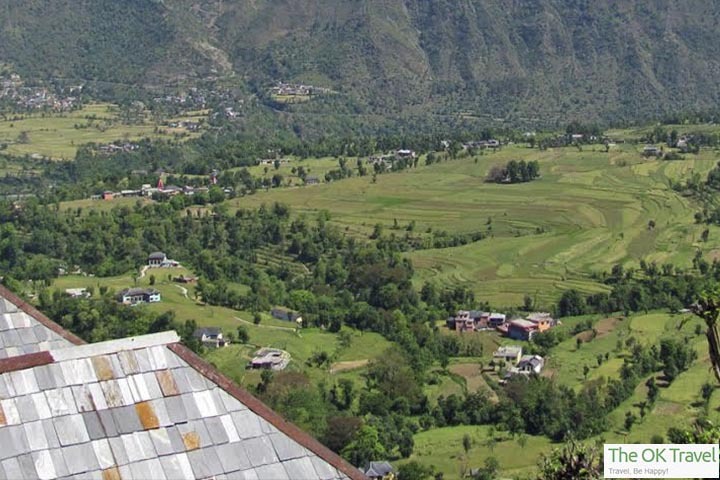 Tucked away in a remote corner of Himachal Pradesh, the Churah valley in Chamba is on a road less frequented by the increasing number of tourists visiting mountain valleys each year. The human spirit is always challenged by forbidden lands and the silent, sublime and awe inspiring charms of this remote valley are a reward in itself for those who dare to get there. 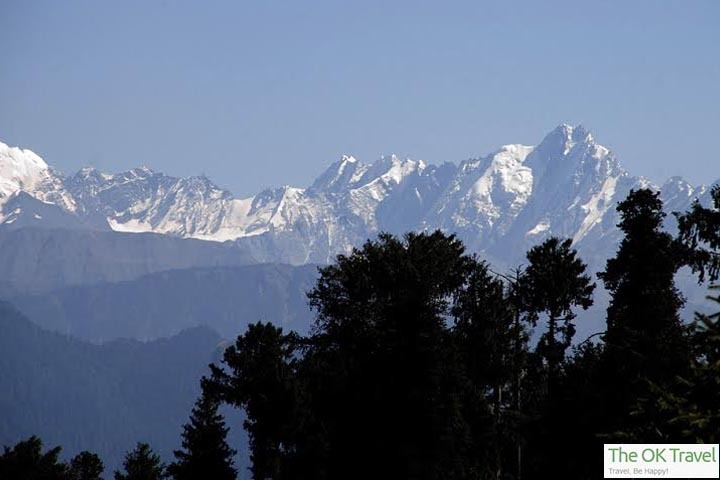 Connecting up with the neighbouring state of Jammu and Kashmir, the crossroads at Churah spread out along all four directions and shelter some of the best untouched Himalayan habitats. To explore the hidden vistas of the region, one has to first get to Tissa (1570 meters altitude), a sub-divisional headquarter for Churah. Tissa, also known as Bhanjraru, is fairly well connected by road with Chamba town and Dhalousie. Beyond Tissa, the road connects up with the Kishtwar region of Jammu. It also provides access to the landlocked Pangi valley. In the vicinity of Tissa are some very scenic mountain lakes that can be easily approached on foot. The glacial lakes of Ghadasru, Mahadev Dal, Mahakali Dal, Maral Dal and Mehalwar Dal are the ones mostly visited by travelers who pass on the route. Like most mountain lakes in Himachal Pradesh, they are considered holy and abodes of gods and goddesses. The scenic and circular Gadasru Lake at 11,500 feet altitude, is at the base of a peak by the same name. At one corner there is a small temple dedicated to Goddess Kali, to where pilgrims do undertake the 16 km trek from Tissa each year. At 12,000 feet altitude is Mahakali Lake, considered an abode of Goddess Kali. Some of most spectacular views are on display from this vantage point, which also has good camping sites. The road from Tissa to Bairagarh (altitude 2880 meters) is only 27 Kms and does test a driver’s skill at hill driving. Along the routs the small and quiet retreat at Trella, till very recent times used to be the main business center for Pangi valley residents. From Trella the road gradually ascends to Hazappad glacier point, beyond which the ascent, often testing the nerves of a driver, becomes shaper till one gets to Satrundi (3400 meters). 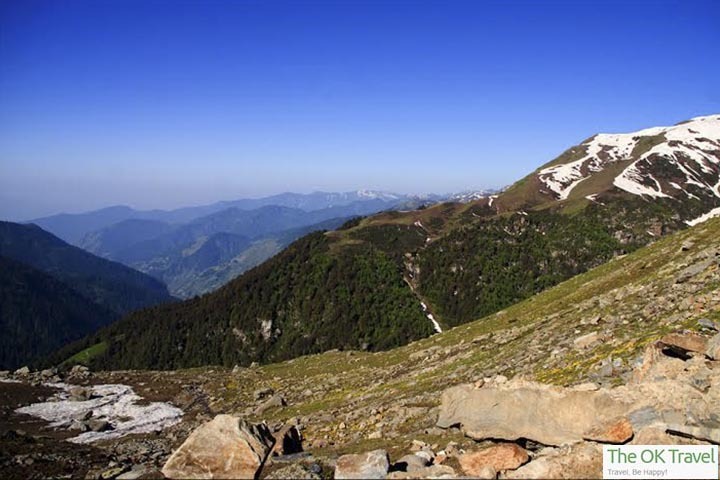 The route offer great views of the towering Pir Panjal ranges. 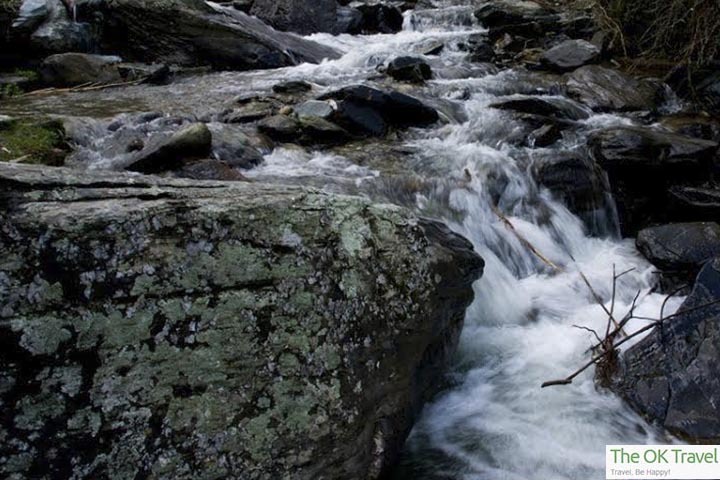 The freshness of Kalaban, meaning black forest, as it happens to be one of the thickest forested areas of Churah, is a treat of untouched Himalayan habitat. Largely dominated by cedar (deodar) trees, one can also spot spruce, oaks and other fir trees in this deep forest. Campers halt at Satrundi, a kind of base camp, before heading up to Sach Pass (altitude 4414 meters) over the Pir Panjal range. 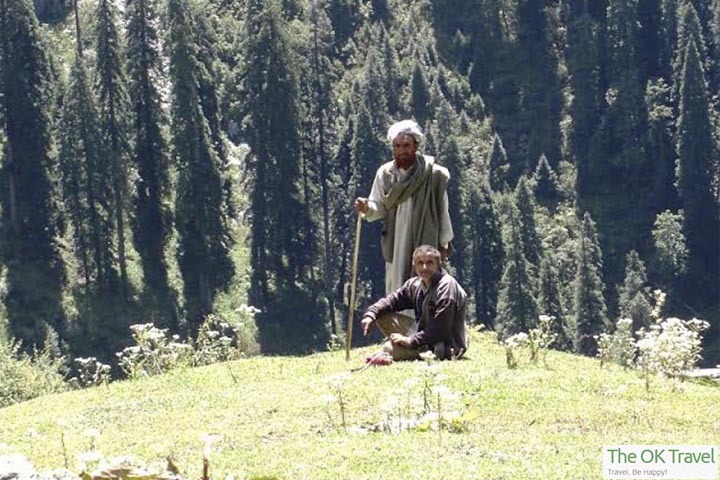 It is recommended to undertake the 4 Km ascent from Satrundi to the pass in the early morning hours. 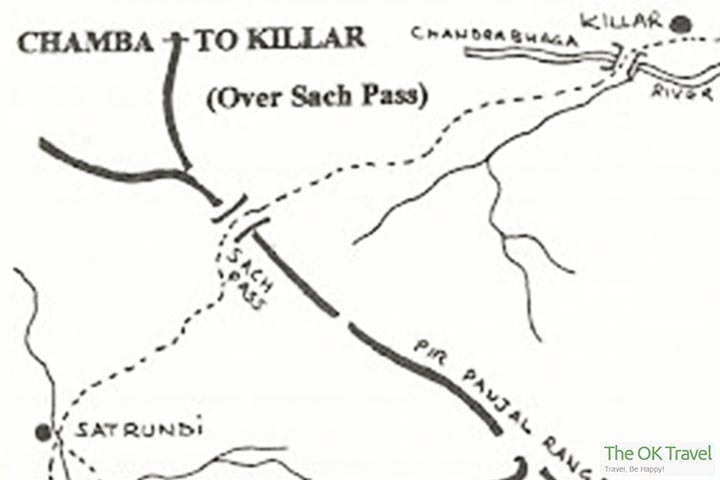 The high altitude pass divides the Ravi River catchment from the Chenab River catchment. Beyond Sach the road descends in Chenab valley but is normally snowbound for many months and only opens up by late August or early September. 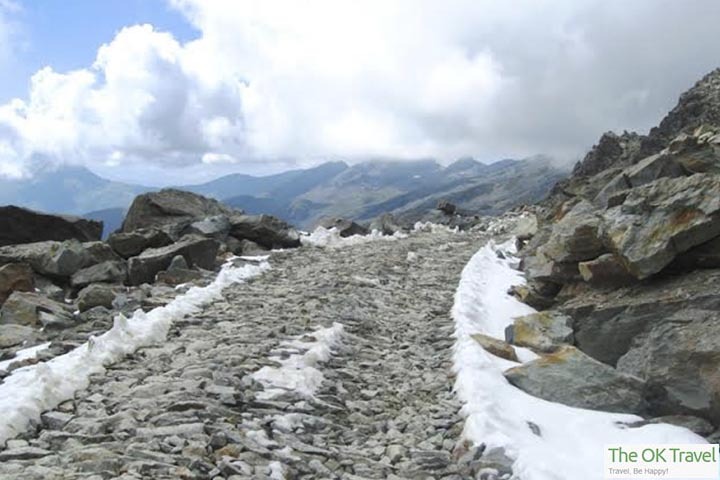 This road stretch connects with the Tandi-Kishtwar road at Killar, which can be used to access the remote Pangi valley on one side and heads into Kishtwar region of Jammu at the other end. The first 8 Km descent from the pass to Bagotu (3600 m) is the hardest to negotiate before the road grades improve to get to Killar (2591 Km). Some hidden gems of Churah valley are Bhandal-Kihar, Thalli-Bhatkar, Bhukhu Dhar, Jasorgarh, Dudar Dhar, Baira, Salooni-Kilod, Himgiri-Banter and Devi Kothi. Before the hill principalities declared their merger with the Indian Union in 1948, the interiors of Chamba were governed by Wasarat’s (administrative governor units) who owed their allegiance to the Royal House of Chamba. To administer the area and as resting stopovers for the King, who would come calling in the summer months, Wazirs (governors) got many Kothis constructed. Where some of these Kothis are used as rest houses, many were for defense use built as hill fortresses to defend the region for intruders or for enforcing law and order. The Sei Kothi, Devi Kohti, Himgiri Kothi, Thanei Kothi, Sanooh Kothi and Ladan Kothi are resting houses and Bairagarh, Tikrigarh, Begheigarh and Jassaurgarh Kothi’s are military structures built for defending the area. Numismatics, while studying coins of the region, stumbled upon Indo-Greek minted silver coins at Lachori village of Churah. The find helped to establish evidence of Greek armies that had marched up the Indus valley in 326 BC with Alexander the Great. The coins are on permanent display at the Bhuri Singh Museum in Chamba. Given to a slow pace of rural life, the religious beliefs, customs and festivals are woven around the numerous temples in the valley. Some of the famous temples of Churah are the Chamunda Devi temple at Devi Kothi and the Bhader Kali temple at Bhalei. Those headed to Sach Pass and beyond in the region need to be physically in good shape, have good quality travelling gear, spare tires, food rations, extra gallons of vehicle fuels and emergency medicines. In those dizzy heights, at places, there is no electricity, no phone connectivity and emergency help will be hard to come by. One may have to fend for himself or herself, with whatever one is equipped with. Editor at The OK Travel, Ravinder Makhaik in a two decade career in active journalism has worked for India’s leading newspapers and television channels. He brings with him not only vast experience but also his deep understanding of the world we live in, to guide the team here to perform better and stay positive in challenging times.